Rustic Canyon Family of Restaurants includes Rustic Canyon / Huckleberry / Milo & Olive / Sweet Rose Creamery. Rustic Canyon Wine Bar & Seasonal Kitchen grew from a series of dinners that founder Josh Loeb held inside his family’s beautiful tree house of a home nestled in Rustic Canyon, an intimate neighborhood carved into the mountains of Santa Monica. Every month lovers of quality food and wine gathered around a long, candlelit table to share the joy of a meal created with thought and passion. New friends were made. Stories were told. Favorite new wines were discovered. Rustic Canyon Wine Bar & Seasonal Kitchen became an extension of this and the other restaurants quickly followed suit. As the sole Controller for a fast-growing organization, I quickly discovered that I would not be able to keep up with the work-load as we expanded. I could envision that an integration solution was possible and started asking around to see if anyone knew of one that existed. The representative from our POS system told me about GetLinked. After reading about GetLinked I didn’t really consider any other solutions. The daily sales reports are now all automatically imported using GetLinked. We are still manually entering vendor invoices and daily cash transactions but are on the verge of automating them as well. Payroll is done by an outside vendor and is manually entered in the aggregate at this point although an automated integration of that data may be on the horizon as we expand. I would say that I save about an hour per week per location by importing the Daily Sales Reports. Their customer service is top-notch. Knowledgeable, friendly and available. Downloading the app was a breeze and the very proficient rep easily remotely completed the set-up. About GetLinked™ GetLinked™ is a software program developed and maintained by Accounting Solutions, Inc., provider of financial integration tools for over 30 years. As the company moved into financial software there was a need to simplify the process of integrating data from disparate systems. The specific goal then became focused on integrating POS and timeclock systems to financial systems. The next seven years were spent perfecting GetLinked™ before releasing it to the public. GetLinked™ is modular, grouped by accounting function and integrates with over 750 systems. GetLinked™ products and services are available worldwide for many industries including Restaurants, Hotels and Resorts, Public and Private Clubs, Stadiums and Arenas, Casino and Entertainment Venues, Cruise Lines, Accounting Firms and Bookkeepers, Payroll Service Providers, Institutional Food Services, Franchises and others. For more information visit www.getlinked.co. 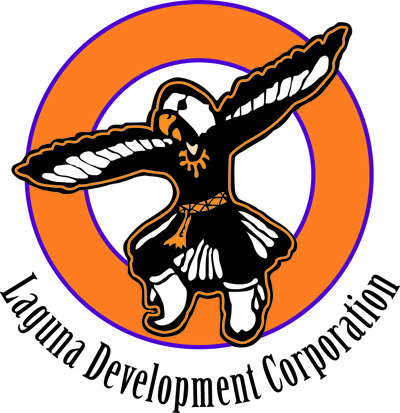 Laguna Development Corporation was established in 1999 to manage the casino and retail businesses owned by the Pueblo of Laguna. Their diverse businesses are all conveniently located off Interstate 40 West of Albuquerque. Employing 1200 people, they are a major employment provider in the area with a reputation for providing quality products in a friendly, impeccable atmosphere. Located in Albuquerque, New Mexico Laguna Development Corporation operates a casino comprised of 11 revenue centers and 26 purchasing centers. These centers include a casino, RV Park, Fueling Station, C-Store, Ace Hardware, Taco Bell, Dairy Queen, Grocery Store, Snack Bar, Gift Shop, Video Rental, Arcade and more. Laguna Development had a staff spending 40+ hours a week manually rekeying their daily sales and purchases. The original accounting processes were very inconsistent. They explored the option of internal programming to create a custom solution. The Laguna Development staff were manually rekeying the daily sales and purchases for all the different revenues and cost centers from reports. They considered developing their own internal system for all the different transactions, but decided to use GETLinked™ Software connected to four different systems. Their existing systems included micros® Point Sale and Sale, Store Chek Point of Sale, CBORD Purchasing system and MAS200 Financial Accounting system. GetLinked was a great solution for Laguna. GetLinked allows them to get their data from their 11 revenue centers with the GetLinked software (Sales and Payroll) and keep track of their 26 purchasing centers with GetLinked APLink module (Payables) all with one piece of software. Edward Khater along with the management at Laguna Development decided to implement GETLinked™. John Root was in charge of implementing the system and worked with GETLinked™ staff to complete the implementation. The solution implemented electronically transfers all the daily sales, payroll and purchases within the different systems to GETLinked™ software. GETLinked™ software converts the data into valid accounting transactions and transfers them into the appropriate MAS200 modules of General Ledger, Payroll and Payables. GetLinked has saved Laguna Development time by allowing their data to be automatically transferred into their accounting with speed and accuracy. This has enabled the company to replace the work of 3-4 employees spending over 40 hours a week with one employee. GetLinked™ has benefited Laguna Development in many ways: It has reduced the cost of manually rekeying data, eliminated the amount of human errors, increased the accuracy of data and saved money with the speed of transferring data into their accounting system. All of this leads to decreased labor costs and increased profitability. As part of a plan to save in administrative labor, increase proficiency, and eliminate error, Folks chose GetLinked as the solution to integrate their POSitouch® point of sale system to their Microsoft® Great Plains Dynamics® accounting system. Folks has provided a menu of southern cooking to their guests throughout the Atlanta, GA area for over 15 years. They currently operate 17 locations and have plans of expanding in the next couple of years. In order to expand their operations, owner Rick Pratt put forth the order to turn Folks into a high tech corporation. IT Manager Brandon Lockridge found that one of their bigger downfalls was the extreme amount for time they were spending rekeying the data from their locations into the financial system. Folks wanted to automate as much as possible. After evaluating their business needs, ASI worked with them to implement three of GetLinked’s modules. The POSLink module handles all their daily sales transactions, the PRLink handles their payroll transactions for their 700+ employees, and the APLink handles all of their Payables transactions. GetLinked is saving Folks over 6 days of labor every two weeks by integrating their POSitouch point of sale system to their Microsoft Great Plains Dynamics accounting system. 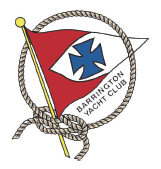 Formed in 1908, Barrington Yacht Club is a seasonal yacht club in Barrington, Rhode Island. They have over 425 members, which include world champion sailors. Members enjoy a full range of services including a complete yacht Racing program for sailors of all abilities and boats of all classes, year round social Events, and four Cruises each year to various New England ports of call. Due to an increase in growth, Barrington Yacht Club needed to gain more control of the financial aspects of the club as well as develop a more automated system. They were in the process of implementing a Positouch POS system and a Peachtree accounting system. They were still manually filling out paper sales slips and needed to update their entire system to a more automated one. Since the club operates partially on a volunteer basis they needed a system that would be simple and efficient for a bookkeeper with limited experience. Although the POS and accounting systems were very useful there was still the issue of manually moving data between the systems. GetLinked was implemented along with the POS system and accounting system, simplifying the entire process for a bookkeeper with limited experience. With GetLinked software, Barrington Yacht Club has eliminated the manual process of entering financial data into the clubs accounting software. The benefits to the Barrington Yacht Club have been the time saved manually rekeying data and having accurate numbers without having to worry about hand keying errors. Time saving measures that GetLinked software provides are especially important for volunteers and enables the club to employ one part time bookkeeper. With over 455 World Wide locations, Big Boy International was looking for a business intelligence tool that could interface their Oracle relational database to their Payroll Service. To handle this integration Big Boy chose the GetLinked software solution from Accounting Solutions, Inc.
Big Boy of Michigan started in 1952 as the first Franchisees of Big Boy Restaurants and became the Worldwide Franchiser in 1987. Big Boy is an International sit-down Restaurant chain with over 455 worldwide locations. After evaluating different Payroll services Big Boy chose Paychex payroll processing services to handle the sheer volume of employee transactions. However, a major concern was how to interface their Time and Attendance data residing in an Oracle Database to the Paychex system. A major obstacle was that the Paychex product does not have the ability to interface directly with Oracle. Without an integration solution, Big Boy would not be able to make the switch to Paychex. GETLinked was the perfect solution for their integration issues. 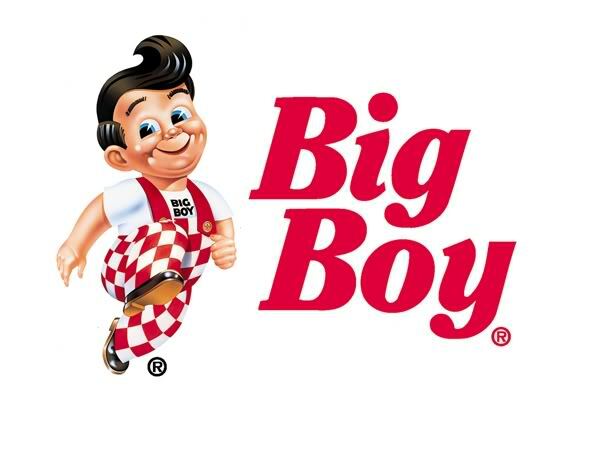 Computer operations director Donald Bochenek with Big Boy International was looking for a product that required no programming intervention by his staff and little if any support. “In evaluating Big Boys’ needs we could truly see the benefits that GetLinked would provide based upon the enormous amount of employee transactions that were occurring,” states Jim DeFede for Accounting Solutions, Inc. All payroll information from Big Boy is downloaded to their corporate office every Monday morning. GetLinked imports, validates, and then transfers that data into Paychex. GetLinked was the prefect solution for their integration issues. GetLinked allows Big Boy to import their Oracle Time and Attendance data, validate the data, and then transfer the validated data to Paychex. GetLinked eliminated the manual rekeying process. Analysis of data becomes critical to a company the size of Big Boy. Any time you can eliminate manual labor it will only increase the ability to make use of the data received. GetLinked‘s ability to eliminate the possibility of rekeying errors was essential to Big Boy with increased confidence and insuring data integrity. GetLinked’s integration abilities allowed Big Boy to implement their desired payroll processing service. By eliminating the rekeying of payroll data, GETLinked has saved countless hours of labor input every payroll period for Big Boy’s 2,100+ employees. Copyright © 1997-2018 Accounting Solutions, Inc. All rights reserved. GetLinked® is a registered trademark of DEFEDE. Other product names listed herein are trademarks or registered trademarks of their respective companies.